M. Christian Green is a scholar, teacher, researcher, writer, and editor working in the fields of law, religion, ethics, human rights, and global affairs. She holds degrees from Georgetown University in history and government, Emory University in law and theology, and the University of Chicago in religious ethics. Her research interests include law and religion, human rights, religious freedom, religion and world affairs, and global ethics. 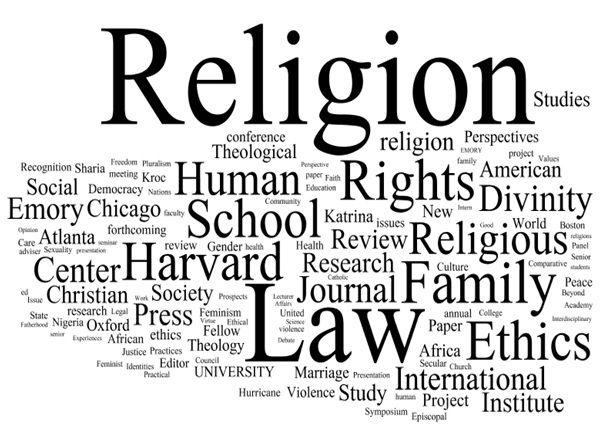 Research & Teaching: Green has been a researcher at the Religion, Culture, and Family Project at the University of Chicago, the Park Ridge Center for the Study of Health, Faith, and Ethics in Chicago, and the Center for the Study of Law and Religion at Emory University. At the CSLR she directed research on Africa and Europe for the “Law, Religion, and Human Rights” project and was the principal investigator and blog and website editor for the project on “Sharia, Family, and Democracy: Religious Norms and Family Law in Pluralistic Democratic States.” During the 2010-2011 academic year, she was a visiting research fellow at the Kroc Institute for International Peace Studies at the University of Notre Dame, conducting research on “Religion, Rights, and Recognition of Identity.” She has taught at DePaul University, Harvard Divinity School, and the Candler School of Theology. Current Projects: Green is currently research director for law, religion, and human rights at the Center for the Study of Law and Religion, a general co-editor and special editor for the Journal of Law and Religion, editor and publications manager for the African Consortium for Law and Religion Studies (ACLARS) and served from 2016-2018 academic consultant and social media editor for the Commonwealth Initiative on Freedom of Religion or Belief (CIFoRB). She blogs at Cakewalks and Climbingwalls. JUST PUBLISHED!!! With Monica Duffy Toft. “Progress on Freedom of Religion or Belief? : An Analysis of European and North American Parliamentary Initiatives,” Review of Faith & International Affairs, 16:4 (December 2018). JUST PUBLISHED!!! With Monica Duffy Toft. “Freedom of Religion Across the Commonwealth: Hard Cases, Diverse Approaches,” Review of Faith and International Affairs, 16:4 (December 2018). Religion, Law and Security in Africa, edited with T. Jeremy Gunn and Mark Hill (Stellenbosch: SUN MeDIA Stellenbosch, May 20, 2018). “Love, Friendship, and the Sacred in Today’s World,” Il Silenzio del Sacro: La demensione religiosa nei rapporti interculturali (Colle di Val d’Elsa: Fondazione Intercultura Onlus, November 2017). “Jean Bethke Elshtain,” in Christianity and Family Law: An Introduction, eds. John Witte, Jr. and Gary S. Hauk (Cambridge University Press, September 30, 2017). Religious Pluralism, Heritage and Social Development Edited with Rosalind I.J. Hackett, Len Hansen, and Francois Venter (SUN MeDIA Stellenbosch, May 14, 2017). Review of Leila Ahmed, A Quiet Revolution: The Veil’s Resurgence, from the Middle East to America (New Haven: Yale University Press, 2011), Hypatia (May 2017). Editor with William Bassett, Cole Durham, and Robert Smith. Religious Organizations and the Law, Second Edition (Westlaw/Thomson Reuters, March 2017).